Buckley, S, and Bird, G. (1993) Teaching children with Down syndrome to read. Down Syndrome Research and Practice, 1(1), 34-39. The recent occurrence and severity of a range of sleep disorders were determined in a group of children with Down syndrome, and compared with those in a group of non-disabled children with the same mean age and similar Social Economic Status distribution. Associations were explored between the sleep disorders in children with Down syndrome and measures of their daytime behaviour. Frequently occurring sleep problems were found to be significantly more common in the group with Down syndrome compared with the non-disabled group. The most common sleep problems showed a different pattern in the two groups. In the children with Down syndrome, various significant associations were seen between the number of frequent sleep problems and specific types of disturbed daytime behaviour. Within the Down syndrome group, boys had significantly more frequent sleep problems than girls. The findings show that sleep problems are common in children with Down syndrome and that they are linked with disturbed behaviour during the day. The requirements for possible further research are discussed. Stores, R. (1993) A preliminary study of sleep disorders and daytime behaviour problems in children with Down syndrome. Down Syndrome Research and Practice, 1(1), 29-33. Buckley, S. (1993) Language development in children with Down syndrome - Reasons for optimism. Down Syndrome Research and Practice, 1(1), 3-9. Hamilton, C. (1993) Investigation of the articulatory patterns of young adults with Down syndrome using electropalatography. Down Syndrome Research and Practice, 1(1), 15-28. 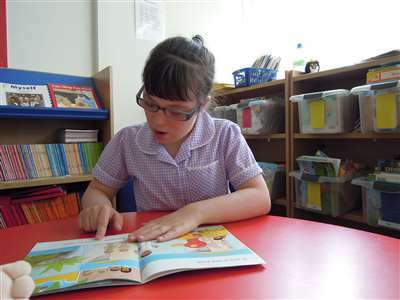 The productive language skills of a group of children with Down syndrome were compared with those of normally developing children, and children with learning difficulties but not Down syndrome. The three groups of children were matched for their level of verbal comprehension skills. 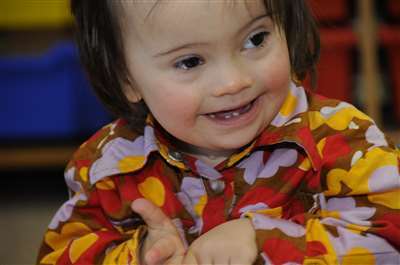 The children with learning difficulties were the same age as those with Down syndrome, the normally developing children younger. The South Tyneside Assessment of Syntactic Structures (STASS) was used to elicit language samples from the children, which were analysed using the Language Assessment Remediation Screening Procedure (LARSP) and percentage scores obtained. Although the children with Down syndrome produced as many utterances as the other two groups, their language contained significantly fewer Stage III and IV structures. They also showed a deficit in pronouns and auxiliary verbs used in comparison with the other two groups. Implications for language teaching are discussed in the light of these findings. Jenkins, C. (1993) Expressive language delay in children with Down syndrome. Down Syndrome Research and Practice, 1(1), 10-14.